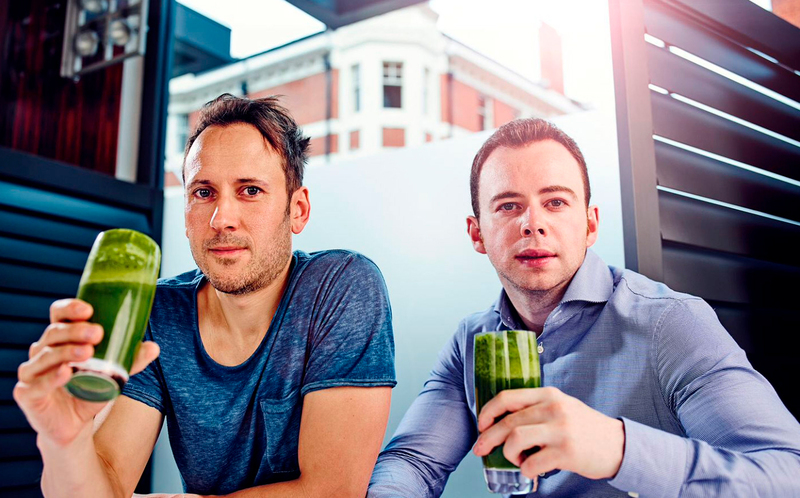 As experts in nutritional medicine and pharmacy, Aidan and Glen have long been fascinated by the natural compounds found in plant foods, known as polyphenols, and how they can be harnessed to improve health and even treat disease. They were especially captivated by how the drug industry was vigorously exploiting plants and polyphenols for their medicinal properties to create new drugs, yet they had been virtually overlooked in the world of nutrition. Intriguingly, the diets of the slimmest, healthiest and longest lived populations around the world – known as Blue Zones – had previously shown that the one thing they had in common was they were always very rich in these precious plant nutrients, about five times the intakes we consume in the West. And it was becoming clearer that the reason why plant rich diets were so beneficial was due to their polyphenol content. But it was the breakthrough finding that not all polyphenols are equal, and that a small group could mimic the effects of fasting and exercise through activating our sirtuin (aka ‘skinny’) genes that has changed the world of nutrition and wellbeing forever. Aidan and Glen identified the foods with the highest levels of these powerful sirtuin activating polyphenols and referred to this newly discovered group of wonder foods as ‘Sirtfoods’, and asked the question: what would be the results if you ate a diet specifically rich in all these foods? When they initially pilot tested this, they were stunned by the results. Participants lost, on average, 7lbs in 7 days, whilst either maintaining or even increased their muscle mass. Best of all they reported feeling great; brimming with energy, sleeping better and even reporting amazing improvements in skin. Of course this was well and good for the short term results, but what about long term? Around the same time, the results from one of the biggest and best nutritional studies ever conducted was published, and they were breathtaking. The study found that following a Sirtfood-rich Mediterranean diet dramatically slashed the risk of heart disease, diabetes, obesity and early death. The results were better than any previous nutritional study had found and far superior to any outcome drugs could produce. That was the final piece of the jigsaw Aidan and Glen had been looking for. With that in place they set about sharing their approach with the world, and so, the Sirtfood Diet was born. But that was only the start of the Sirtfood story. As hundreds, then thousands, then tens of thousands of people followed the diet, the real life results became apparent. Followers of the diet were experiencing rapid and sustained weight loss. But more than that, they were also seeing life-changing health benefits, reversal of their illnesses and profound transformations in their wellbeing. Since then, word has spread far and wide, seeing the Sirtfood Diet become an international best-seller, and changing the way the world eats, one delicious mouthful at a time.